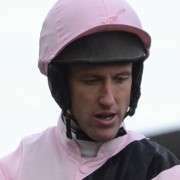 Jason Maguire was born on 13th April 1980 and is a native of Kilmessan, County Meath, Ireland. 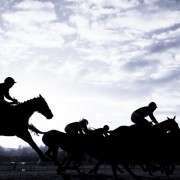 He is a nephew of Adrian Maguire who won the Irish Grand National on Omerta and is now a trainer. From messing about with ponies at his grandfather Joe's he took the well trodden route for many Irish jockeys and went on to hunts and pony racing. He was All Ireland Pony Racing Champion for two years in a row in 1992/3. 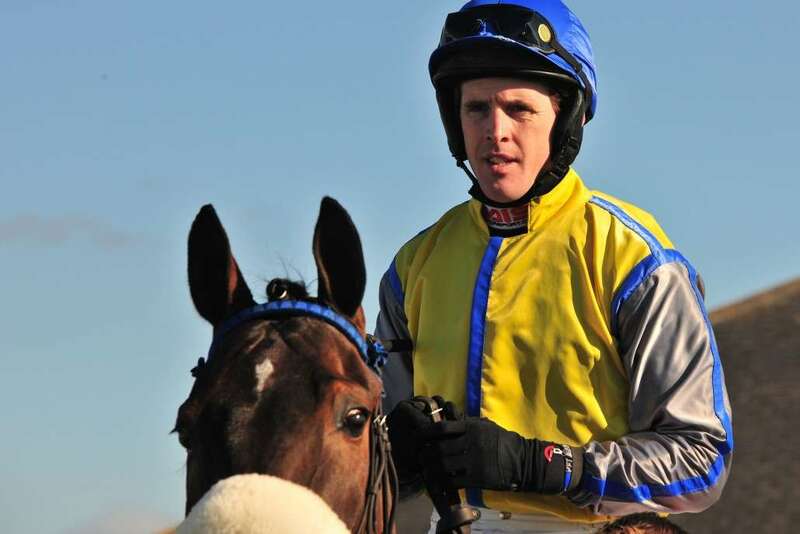 Jason's father worked for Pat Beirne and Jason started riding out for him and had his first win over hurdles for the Kilcock trainer, he has also worked for Pat Hughes, Michael Halford and Joanna Morgan. He took out his apprentice licence whilst working with Joanna Morgan who had given him his very first race ride. Jason's first winner over hurdles was for Beirne and his first win on the flat was on Green Patriot at Dundalk, however like many jockey's, his weight started to catch up with him and he turned to jumping. His first win over jumps was at Limerick and with around 50 winners and a second place in the conditional Jockey's Championship to his credit he decided to make the move to England in 1999. He began working in the yard for Tom George in Stroud, near Cheltenham working his way up and taking whatever rides he could get his first win was aboard Search For Peace at the Cheltenham Festival. He spent seven successful years with George riding plenty of winners and having a notable success at the Cheltenham Festival in 2002 winning the Novices Hurdle on Galileo. In 2007 Jason won the Midlands Grand National partnering Baron Windrush for Nigel Twiston-Davies, he also had a few rides for Ginger McCain. When Donald McCain Jnr. took over from his father and the stable expanded, Jason joined the operation as stable jockey and they have enjoyed a successful partnership ever since. In the 2009/10 season he rode his first 100 winners in a season and finished 3rd in the British Jumps Championship. In 2011 Jason wrote his name into racing's history book when he won the Aintree Grand National riding Ballabriggs for Donald McCain. 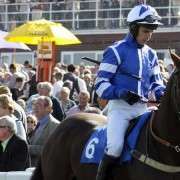 The 14/1 shot was owned by Trevor Hemmings who also owned the 2005 winner, Hedgehunter, after a tiring race in extremely warm weather the horse had to be doused with water immediately after the race, leaving Maguire to return to the winners enclosure alone and on foot. It was Jason's ninth Grand National ride and at 9mins 1.2secs the second fastest time in Grand National history, his previous best was on Cloudy Lane in 2008 when he finished sixth. 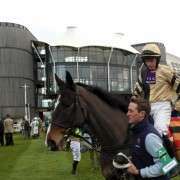 In March 2012 he won the William Hill Supreme Novices Hurdle riding Cinders And Ashes at the Cheltenham Festival but couldn't win back-to-back Grand Nationals in the 2012 renewal and instead had to settle for 6th place, having been given a hefty 11-09 to run off. Back again in 2013 paired up for the third time with Ballabriggs but couldn't get around this time and was out at the 24th fence. 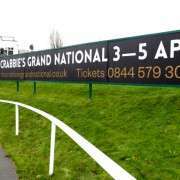 Unfortunately Jason Maguire will not be riding in the 2014 Crabbies Grand National due to injuries sustained when he was unseated from Scots Gaelic at the second flight in a two-mile handicap hurdle and kicked in the stomach by another horse. That horrific injury led to part of his liver being removed and for now he is recuperating at home.